FOODYHOLIC'S Choice: #Fresh Whole Shrimp in minutes! #Fresh Whole Shrimp in minutes! 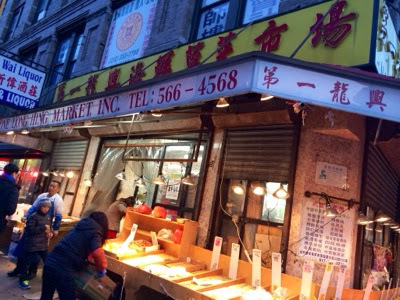 'Went to Chinatown to buy live while shrimp today. What I am sharing with you is one of my favorite dishes to eat. So simple to make. It's the ingredients that count. Above is the cooked shrimp. Combine the ingredients in a wok or pot except the shrimp. 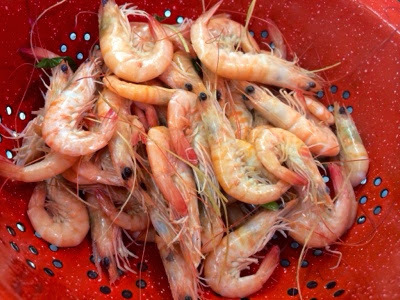 When it comes to a boil, drop the entire shrimp in and cover to cook. After 2 minutes, mix the shrimp to get the uncooked ones to the bottom. Cook for about 1 minute more. Soon as it turns all orange, removed from heat and drain. To eat my way, I prepare a dipping sauce as I peel them. I eat it with garlic fried rice. Sometimes instead if the dipping sauce, I make a tomato/onion or scallion salad with minced garlic seasoned with a little fish sauce and a tsp of sugar.